It’s been a while since we heard anything from the Bethesda camp in regards Prey, but very soon it’ll be time to acknowledge the final update for Prey: Digital Deluxe and Prey: Mooncrash. Today, that update has been detailed and dated, with Prey: Typhoon Hunter bringing tense multiplayer and some VR only solo gameplay to the table real soon. You may think that it’s just a coffee mug, or a roll of toilet paper, but in reality it’ll be your friend stalking you as a Mimic in Prey: Typhoon Hunter – the next update for Prey. Coming on 11th December 2018, Prey: Typhoon Hunter on Xbox One, PS4 and PC will deliver two brand new modes to the base game, one focusing on the tense nature of the multiplayer and another VR-only mode that will entice in the solo players. Typhon Hunter multiplayer: a stunning multiplayer version of hide-and-seek where one player, as Morgan Yu, is stalked by five opponents playing as Mimics, who hide in plain sight as everyday objects before seizing upon their prey. Morgan must hunt down and destroy all five Mimics before time runs out. Typhon Hunter VR, which puts the Morgan player inside the virtual world, will release in early 2019. TranStar VR: a single player, VR-only escape-room-style campaign that thrusts the player into the shoes of TranStar employees. Within the interacive environment, players are charged with completing objectives and solving intricate puzzles on Talos I, just days before the events of Prey. TranStar VR will be available for both PC and PSVR. The VR side of the multiplayer mode will then arrive on PC and PSVR in early 2019. 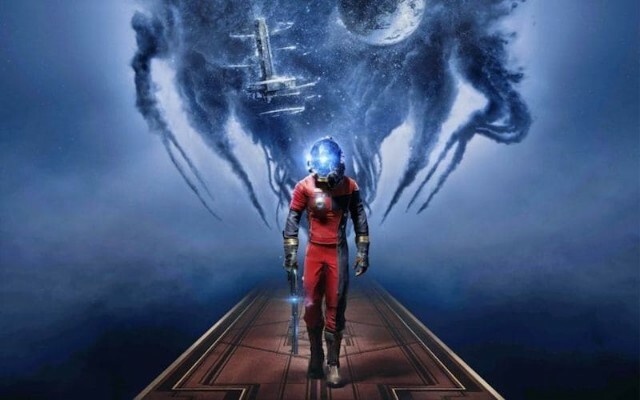 If you have already got a purchase of Prey: Digital Deluxe or upgraded the original version of Prey to Prey: Mooncrash, then you will find yourself receiving both new game modes at no extra cost. Those new to the scene and looking to get involved for the first time will find that Prey: Typhoon Hunter will be available by purchasing Prey: Digital Deluxe for £34.99 and will receive the original award-winning game and its following updates. Existing Prey owners can upgrade their game to Prey: Mooncrash for £15.99. Which option will you take? Are you looking to check out Prey: Typhoon Hunter on Xbox One, PS4 or PC? Is it just the VR experience you want to enjoy? Let us know all your thoughts below.